To walk the lobby while hearing live drumming is transporting and a noble effort of Disney’s ability to carry us to faraway places. We finally had the pleasure of checking Disney’s Animal Kingdom Lodge off of our Disney resort list. We’ve long enjoyed the restaurants and grounds of Animal Kingdom Lodge, the Lake Buena Vista Fast Pass to the Sub Saharan African continent. Savanna-view rooms are well worth the extra cost to get the full sense of the resort’s features. A trip here is an excuse to grab an atlas beforehand and learn the names of the many countries that create the African continent. Larger than the US, China, India, and Mexico combined, children and adults be familiar with how many diverse cultures, languages, and terrains compose the continent. Cast members hail from Sub Saharan countries like Kenya, Tanzania, Mozambique, South Africa, and Botswana. Through Disney’s exchange program, they share their heritage with guests. 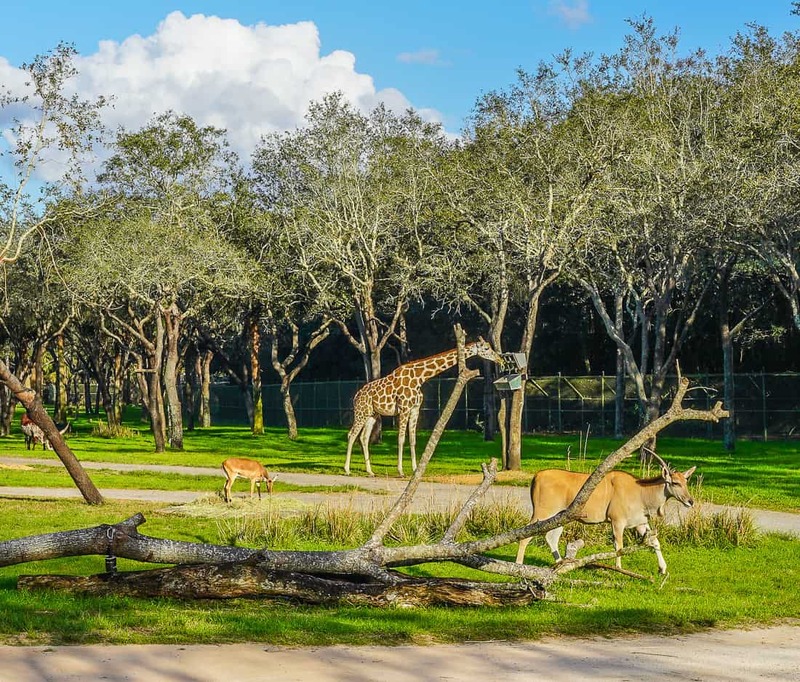 The showcase of Animal Kingdom Lodge is its own savannah filled with a variety of animals to view: giraffes, zebras, ostrich, and emu. A luxury Disney travel agent that I use, Karen Shelton, has recommended this property to me numerous times for the transporting experience it offers. I’d worked with her a while before I realized her agency name, My Path Unwinding, came from the Lion King song “Circle of Life”. Animals graze in the different savanna areas. The Sunset Savanna is the largest, shared by the Jambo House and Kidani Village rooms. 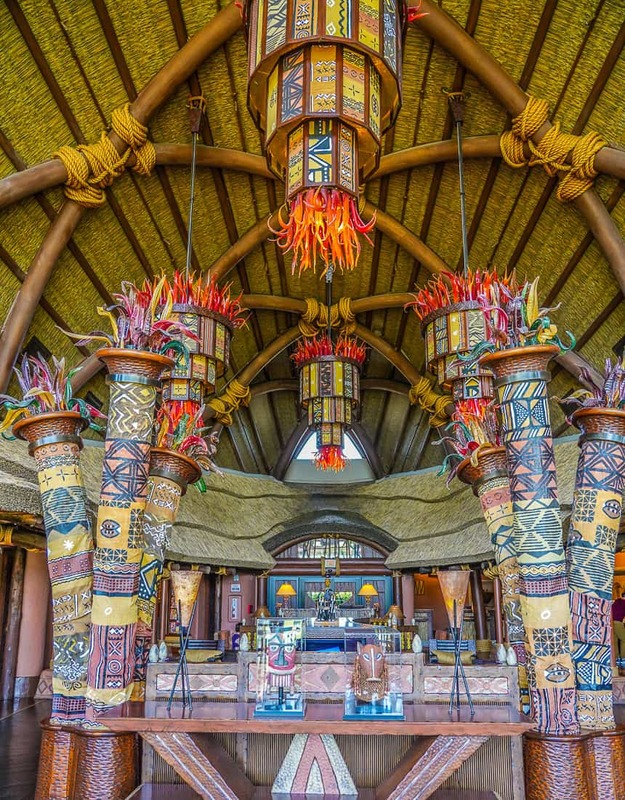 The lobby building of Animal Kingdom Lodge is Jambo House. 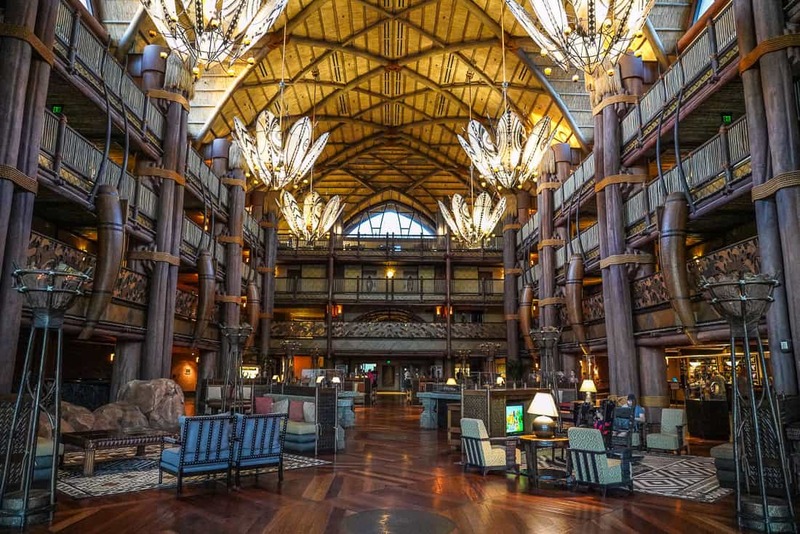 It’s impressive scale may remind guests of other Disney resorts designed by the same architect: Disney’s Wilderness Lodge, and the Grand Californian at Disneyland. Every section of the lobby at Jambo House is filled with interesting details including this Igbo Ijele, a 16-foot tall ceremonial mask. Its multistory thatched roof lobby is beautiful and intricately detailed, inspired by elements of traditional African lodges. Carved wood furniture and ample windows that illuminate the with natural light give the lobby its organic feel. My favorite moment of our stay was exploring the savanna viewing area just after sunrise when there were very few people around but the dedicated morning joggers. I could hear a soft drumming soundtrack, and I felt alone with the animals on the savanna. Flamingos frolic next to one of the Jacuzzis. 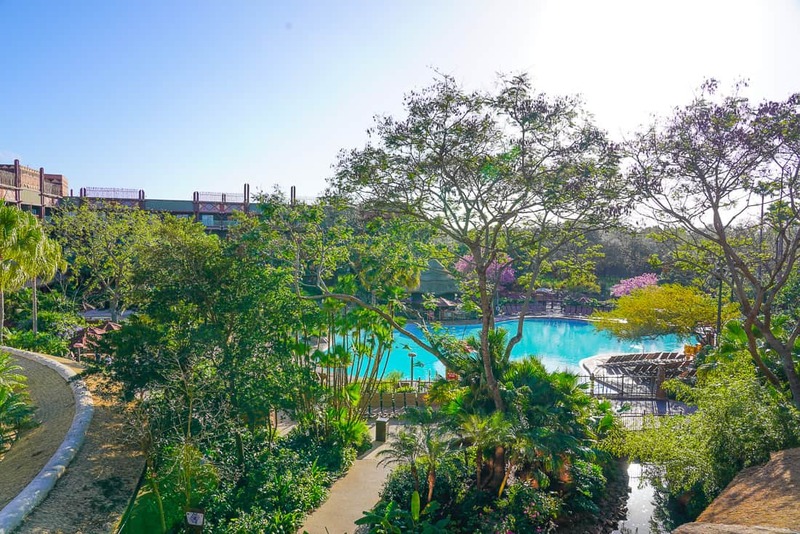 The premium rooms at Animal Kingdom Lodge offer Savannah Views of the animals, and the premium price is worth it, especially if you plan to spend time in your room. 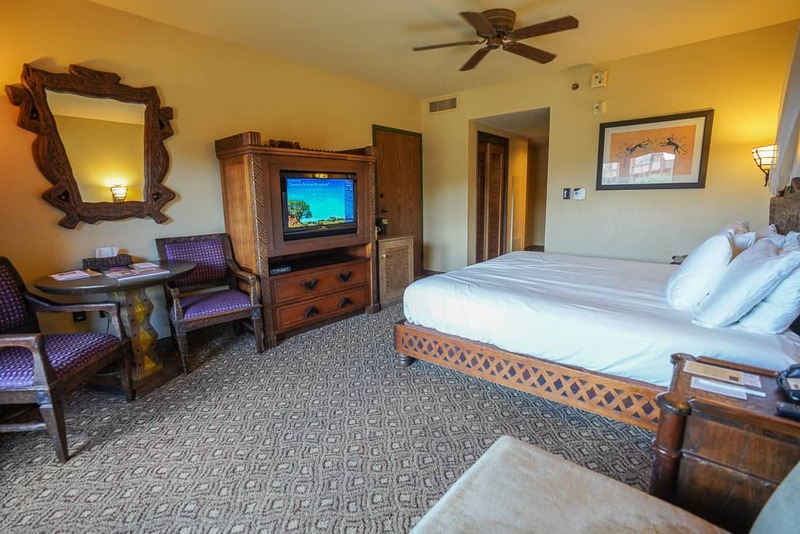 A king bedded room pictured with a twin sized sleeper sofa at Animal Kingdom Lodge. The Kilimanjaro Club is the club level lounge overlooking the lobby from the top floor. All club level rooms offer savannah views, too. Many Disney club level regulars rave that this club has one of the best food presentations. Club level offers an extensive continental breakfast, afternoon snacks, evening hors d’oeuvres, cordials and desserts. Standard guest room bed configurations at the resort vary. Rooms with a king bed come with a twin size sleeper chair, and other rooms come with a queen bed with bunk beds or two queen beds. Views are of the savannah, pool area, or parking lots. Pool views are still lovely at Animal Kingdom Lodge, but not as serene. 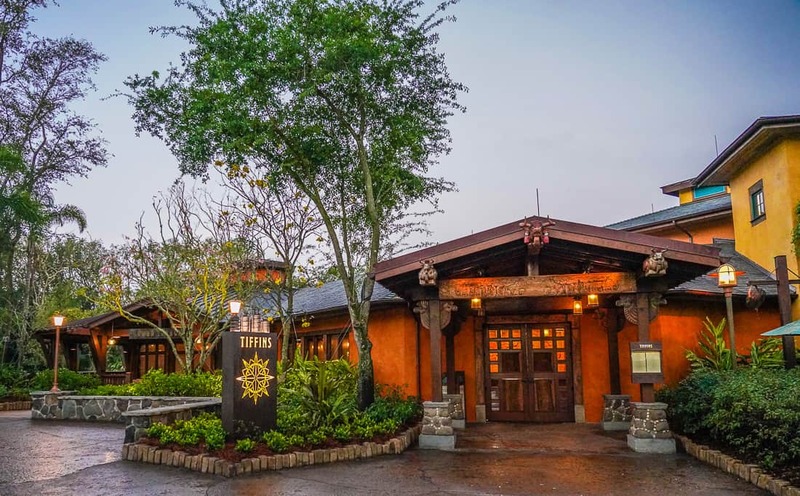 Disney Vacation Club rooms are also at Animal Kingdom Lodge. Kidani Village is part of the resort, but in a separate building connected by a pathway through the parking lot. Villas at Kidani Village have their own pool area. 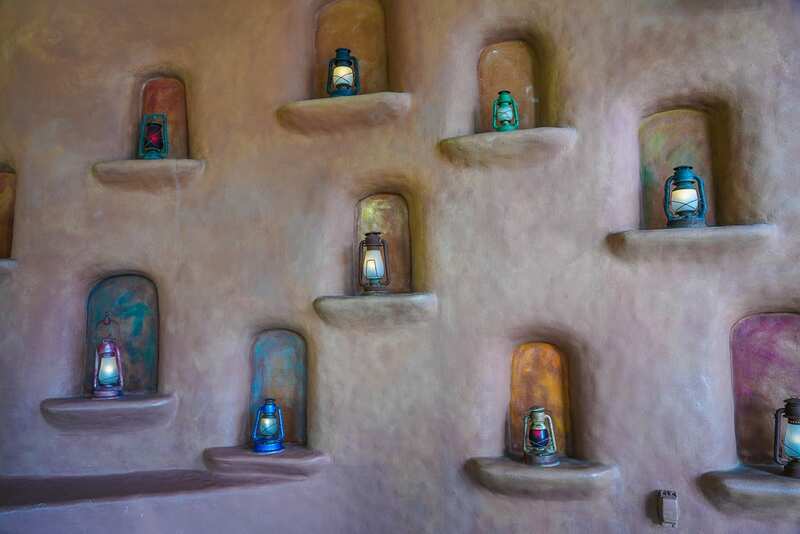 The welcoming wall outside Kidani Village. Villas with the Disney Vacation Club are also available in Jambo House, and most unique, this is the only Disney resort that allows Disney Vacation Club members to have access to villas that are part of a club level. Be sure to read about the new club level “extra Fast Passes” Disney just introduced. I offer a word of caution before booking the Disney Vacation Club villas. The studio formats do not offer the bunkbeds so popular with families in the regular hotel rooms. Of course, the villas can come in one and two and three bedrooms that offer for full kitchens with washer and dryer facilities in the units. One bedrooms at Jambo House DVC units only offer one bathroom while Kidani Village one-bedroom villas have two bathrooms. Although Kidani Village has a much smaller lobby, it is no less colorful. There’s a way to save as much as 50% off of a stay if you book a cabin. 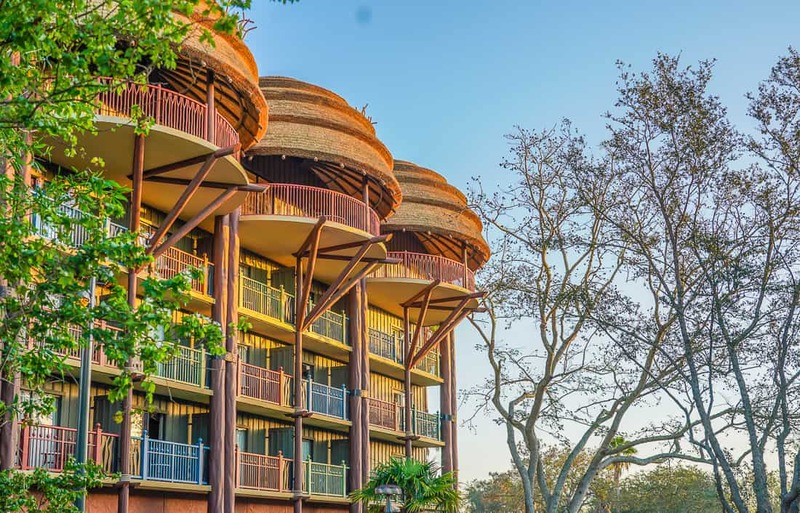 The villas at Animal Kingdom Lodge are part of the Disney Vacation Club, Disney’s version of timeshare units, but it’s still available for the public to reserve. This is the only resort where a category of vacation club villas also have access to the club lounge for complimentary food displays throughout the day. 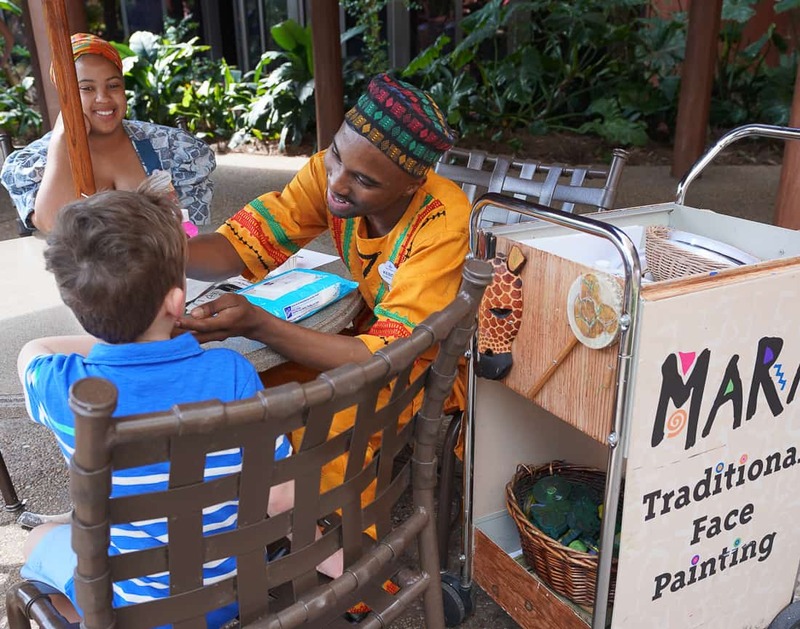 Animal Kingdom Lodge has long been considered one of the more sophisticated Disney resorts in terms of food options because of the pan Asian and African influences of its menu items. This is true even of Mara, the quick service restaurant at Animal Kingdom. Mara offers curry dishes and stir-fries in addition to traditional American favorites like pizzas and burgers. Mara has the advantage of sharing kitchen access with the next-door buffet restaurant Boma. This comes in handy if you have a special dietary request for your family. I asked for a vegan tofu scramble, and the helpful staff member at Mara disappeared and had the Boma kitchen prepare it. Zebra Domes are the popular dessert at Mara in the refrigerated section. My family’s favorite item at Mara is the Babycakes cupcake sampler. These mini vegan and gluten-free treats also contain no refined sugars, so I never say no. (They offer a full bakery at Disney Springs that offers AMAZING donuts). Animal Kingdom Lodge serves a very popular buffet on Disney property without even offering characters. 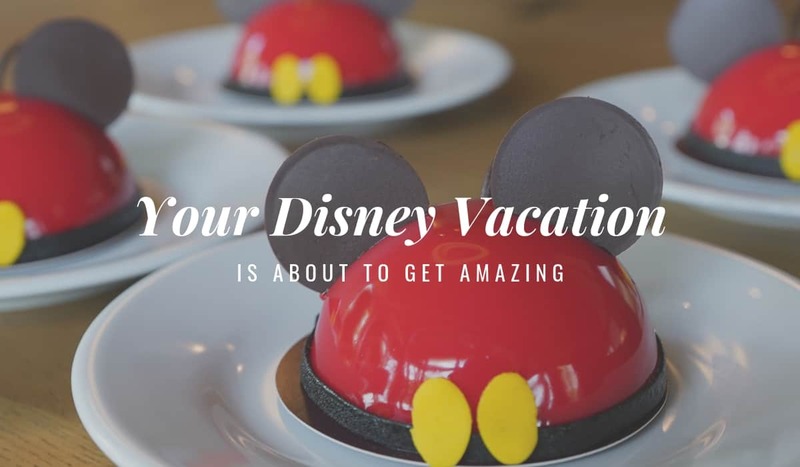 Boma offers breakfast, lunch, and dinner buffets, and Disney foodies would agree it’s one of the strongest buffets on property for the quality of the food in the variety it offers. If you happen to make a reservation at Boma at the beginning of an opening meal time you’ll be treated with an energetic drumming presentation seen in this video. The first few guests to be seated at their table get an incredibly warm welcome. Boma’s dishes range from the predictable to welcoming introductions of African specialties like Chakalaka, which is incredibly fun to say, and Bobotie, the national dish of South Africa. 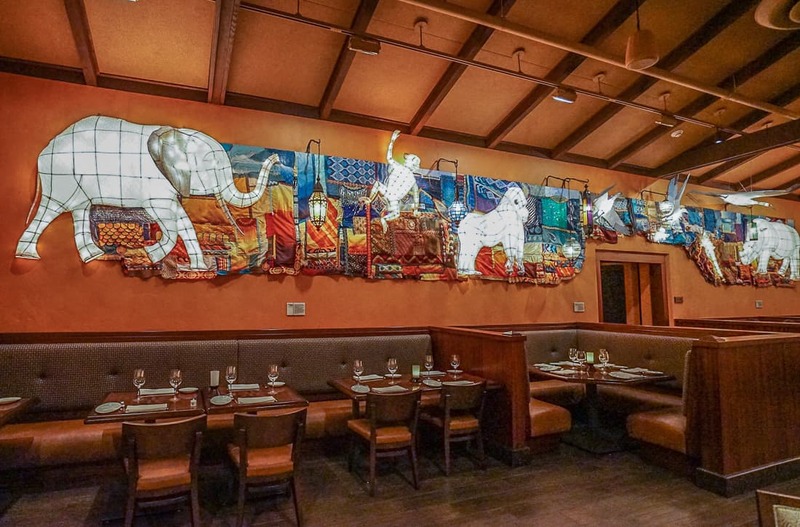 Located at Kidani Village, Sanaa offers an Indian influenced menu. People adore the popular naan bread service, but I wonder if the people who rave about this bread simply don’t go to Indian restaurants at home. There’s nothing unique about their naan bread and chutneys if you eat Indian food at home. 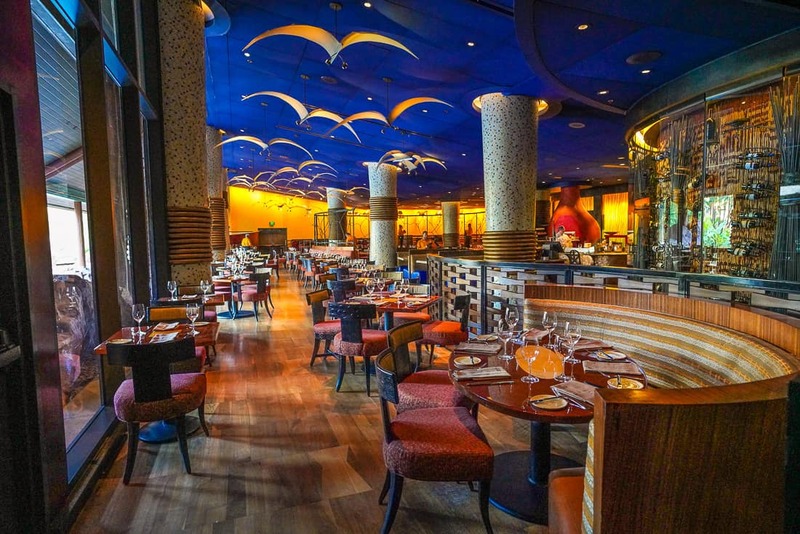 Sanaa faces the savannah with large floor to ceiling windows, so that’s more of a reason to go. There’s an observing area nearby, too. Jiko had one of the most sophisticated menus and culinary programs for years. Specialized South African wine tastings and cooking lessons have been very popular. The menu could never be called exotic (except for the elk entree). It is still filled with familiar dishes. But each dish is carefully accented with African or Asian traditions in preparations. TO GET ALL YOUR PLANNING QUESTIONS ANSWERED. It’s warm wood, deep sapphire ceilings adorned with abstract bird mobiles feel very sophisticated, too. My favorite part of Jiko is that you can request its menu from in-room dining. After a day at the parks, I loved tucking in with a beautiful vegetable curry. Every Disney resort offers a variety of activities for families: pools, arcades, and movies. 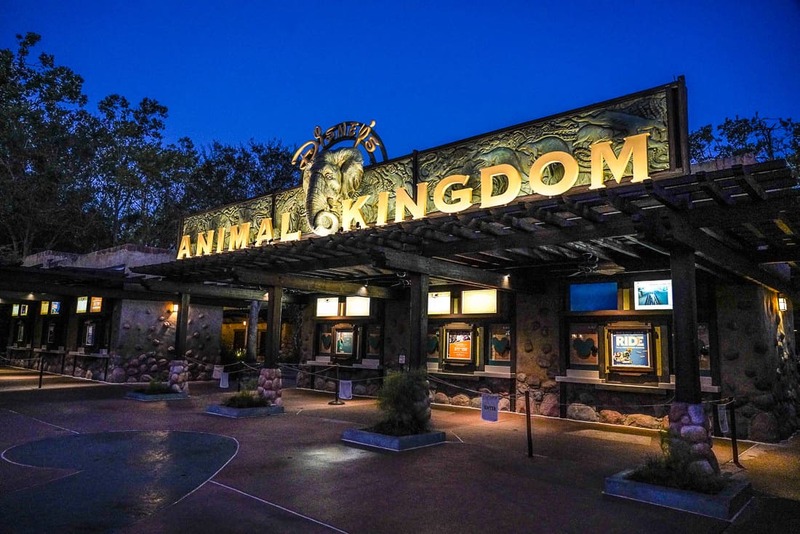 But Animal Kingdom has the most extensive list of daily programs of any resort that are thoughtfully created to engage families in greater cultural connections to countries in Africa. 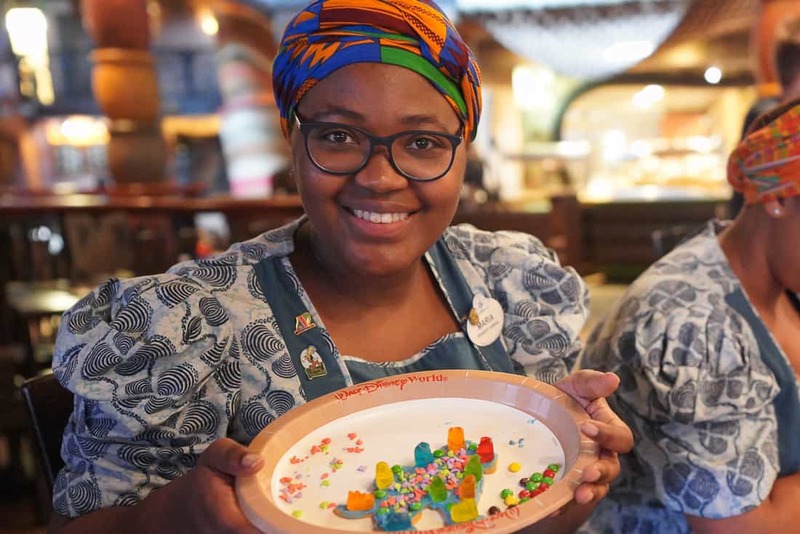 Cast members lead cookie decorating at Boma every afternoon and is a free activity. Each day there are multiple opportunities to interact with animal specialists on the savanna, culinary programs to decorate cookies and mini cakes, and learn more about the culture of Sub Saharan African countries. After checking in, my kids were eager to decorate a cookie and get in some face painting before a swim. What’s amazing is that all of these activities are free and open to the public. You don’t even have to stay at the resort to participate. Children get enjoy free face painting outside The Mara. Most of the cast members who arrange these activities participate in Disney’s Cultural Ambassador program, so be sure to start a conversation with them with your children. If you have a non-park day on your Disney vacation, this is a great place to come. Start with a late breakfast at Boma, watch a flamingo feeding, enjoy the Hakuna Matata playground, learn to drum, and decorate a cake. 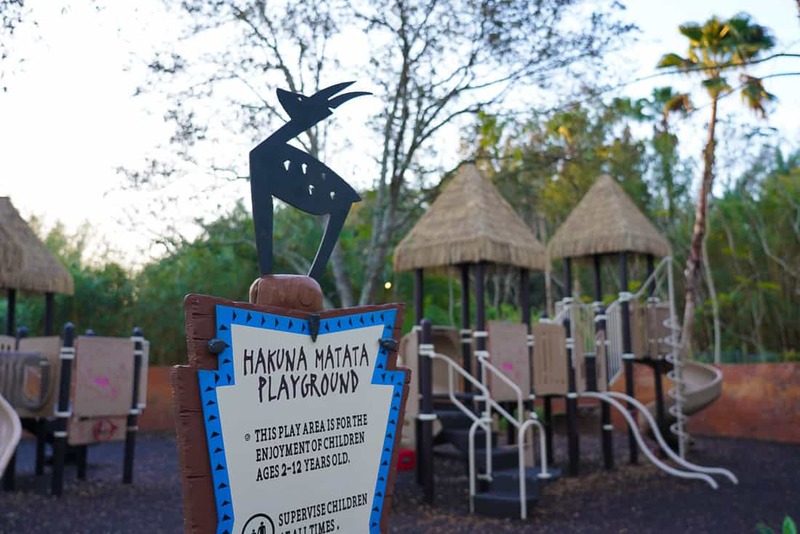 Next to the pool and savanna, the Hakuna Matata playground awaits for a little break for children. There are shaded benches for parents, too! 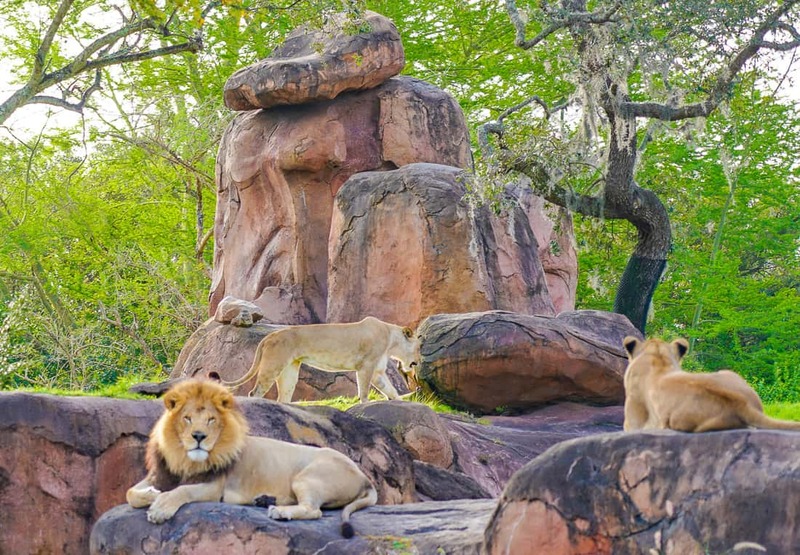 There are many VIP tours at Animal Kingdom Lodge (and the theme park) that involve exclusive access to the animals and their habitats that include special meals. Many are for adults only, but the Sense of Africa allows children aged 10 and older. 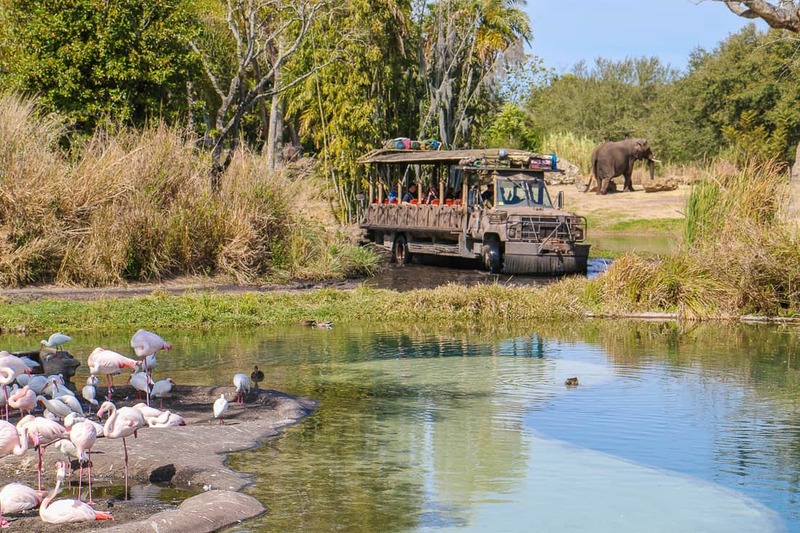 For $249.00 per person, guests take a three-and-a-half-hour sunrise safari experience that includes a breakfast buffet at Boma. Tours run Tuesdays and Saturdays at 7:00AM, and no park tickets are required. 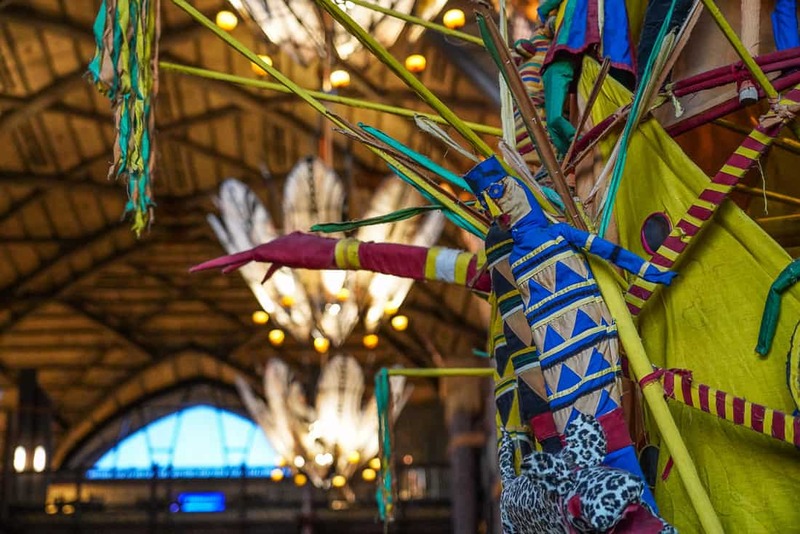 For all of the magic that goes into the guest experience at Animal Kingdom Lodge, there are two things about the resort that may detract from your experience. The location is the most remote of the resorts, and the bus rides to the parks last longer from here. Guests headed to Animal Kingdom still require a bus transfer since there is not walkable way to the park. Second, because the resort is a destination in itself, there are crowds. The pool area feels packed. The Uzima Springs Pool, at Jambo House, is the largest on Disney property, but the open design doesn’t distribute the crowd any, so it isn’t the most relaxing pool area during warm days. The Uzima pool at Animal Kingdom Lodge is only this quiet before 9AM. The pool gets very crowded. 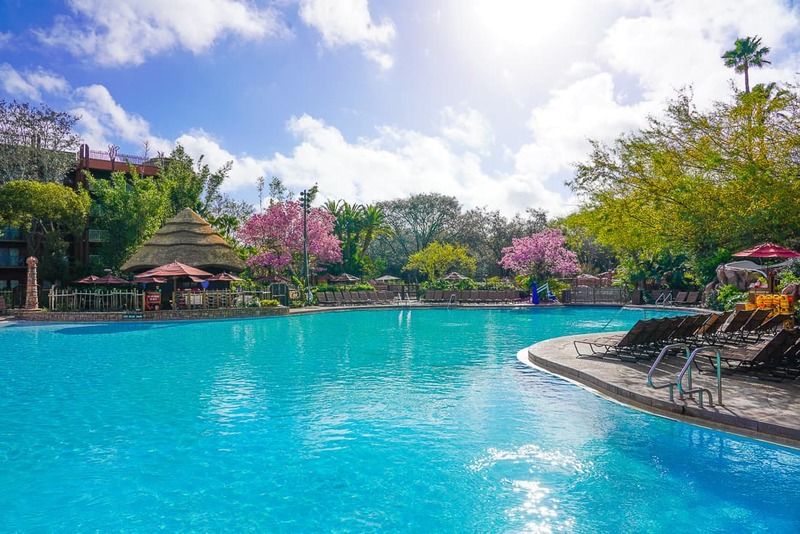 The Samawati Springs Pool serves the Kidani Village rooms and is half the size. But it also offers a larger water slide and nice splash areas for children. Consider walking across the parking lot or taking the resort shuttle for a more relaxing pool day. Both pools have bars for poolside cocktails. The crowds are justified in that I think this resort offers solid service, amenities, and a truly unique concept. 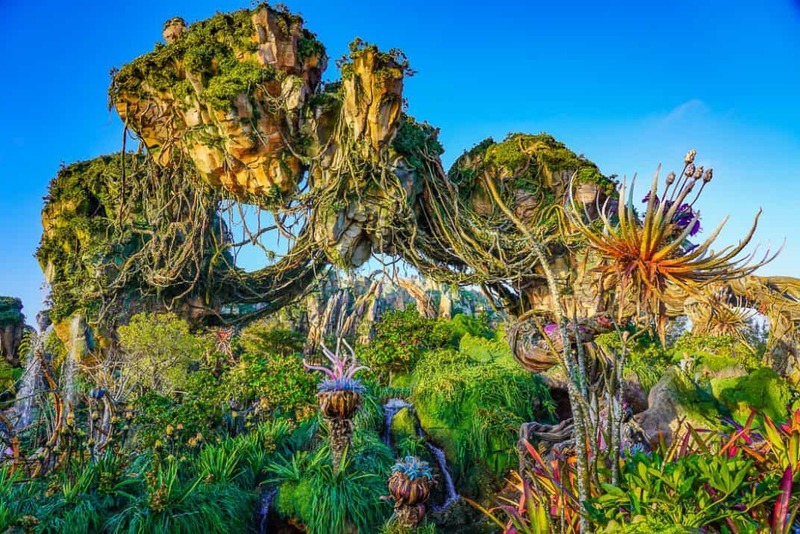 Animal Kingdom has become the one of the most popular Disney parks in the last year after the opening of Pandora, the world of Avatar. Crowds and extreme wait times are commonplace now for those interested in seeing the new rides. 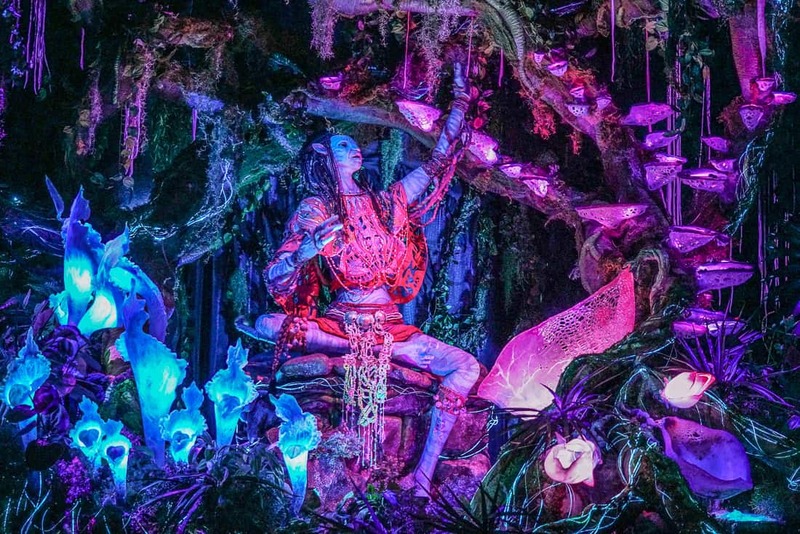 Your guide inside Na’vi River Journey of Pandora. The newest section of the Disney parks opened last May and has probably double the crowd sizes at animal Kingdom Park since then. There are two rides in Pandora: the Avatar Flight of Passage and the Na’vi River Journey. The third, and my most favorite attraction that is not a ride, is the massive setting and fictional ecosystem that makes the land, the Valley of Mo’ara. The Na’vi River Journey can accommodate many more people, and fast passes may even pop up on the day. Lines won’t be nearly as long. It is a slower moving boat ride along the lines of the It’s a Small World ride without a hypnotic track to stick in your head. The Valley of Mo’ara is as spectacular as the rides. The detail that went into this landscape is worth a slow stroll, even if you have no Fast Passes for the rides. Flight of Passage is the next generation of Disney World rides taking virtual reality technology as well as large screens. The individual seats, banshees, have far greater movement than the rows of airplane seats on Soarin’, so the movement is more intense. I prepared my six-year-old for the ride by explaining that, like Soarin’, it would look like we’re moving and going places while we’re actually staying in the same place. He was able to appreciate the ride, but he found one of the more dramatic drops tested his thrill limits. “Good, but I am not doing that again,” he surmised. I bet that will change when he is seven. There are private tours of Animal Kingdom that include both rides for an additional fee. 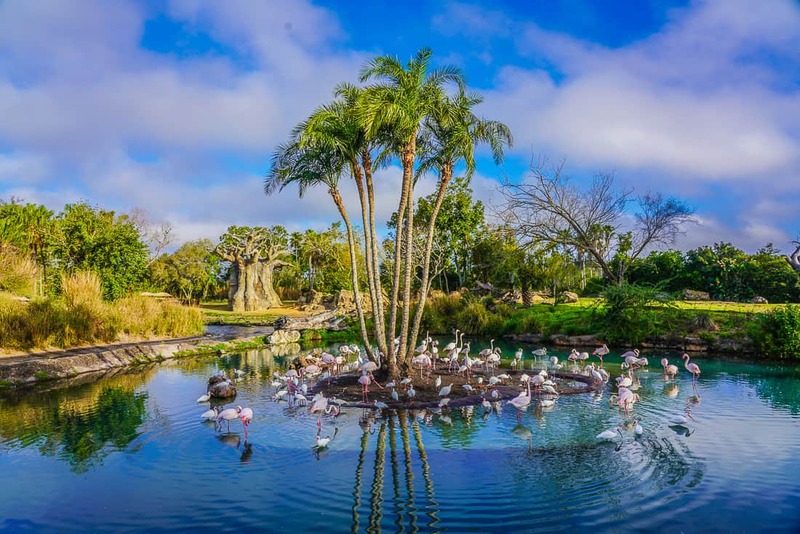 The Ultimate Nights of Adventure VIP Tour is $249 per person (in addition to theme park tickets) and includes both Pandora rides, the Kilimanjaro Safari, and the parks two most popular thrill rides, Expedition Everest and Dinosaur. If trying 60 days out from your check in didn’t work, fear not. Disney and travel hacker Joe Cheung has mastered the Fast Pass system. “If you don’t manage to snag a Flight of Passage Fast Pass ahead of time, note that Disney often makes some available on the day of (this works for other marquee rides, too). Download the My Disney Experience app and make sure you check for availability throughout the day. I often just keep checking when I’m waiting in line until my wife starts giving me dirty looks.” Listen to Joe’s and Leslie’s podcast Disney Deciphered. read everything you need to know about Disney VIP tours. The Kilimanjaro Safari is a must for all ages. It requires a fast pass, and it take some time to ride. It’s the best fast pass to do first in the morning before the afternoon sun makes many animals go into siesta mode. Kilimanjaro Safari is a must, and is great for all ages. A friend of mine who has done safaris in Kenya always laughs that she sees many more animals at Animal Kingdom. Given how little time it takes to see so many animals, it is the perfect family safari. The only patience riders need is when there is what’s called a giraffic jam. Animals may cross the tracks and force the vehicles to stop since they are given free reign in their areas. The Safari now extends into the night. Although it was a fun experience to see the savannas in different lighting, we found it hard to see the animals, so my kids were much less engaged. Try the safari experience with military grade nighttime goggles. 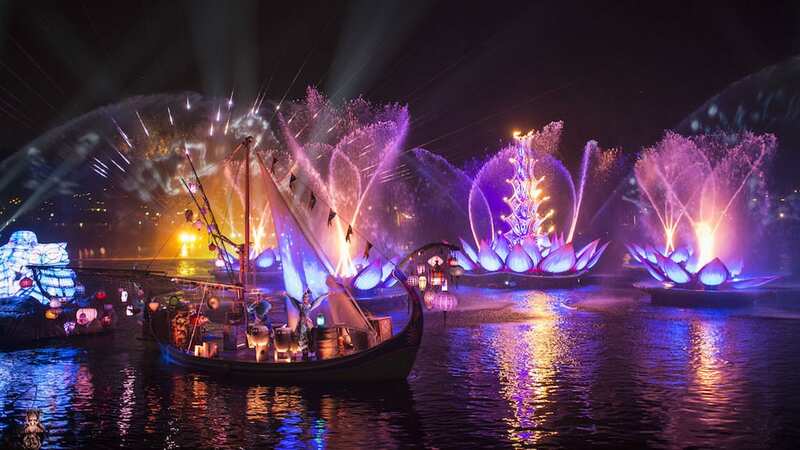 The newest night time show, Rivers of Light is Animal Kingdom’s key after dark event. Befitting of the park’s inspiration, it showcases nature, light, shadow, and Disney’s version of an Eastern mythology. Giant Day-Glo lotus flowers float around while changing color before erupting as dancing fountains. A voiceover repeats a predictable canon of words: spirit, life, nature, harmony and journey. It’s kind of like making the greeting card section of a New Age bookstore come to life in a way only Disney could. The show is about fifteen minutes and runs most nights now, sometimes twice during peak seasons. As long as children aren’t completely exhausted, they will enjoy this colorful, feel-good show. 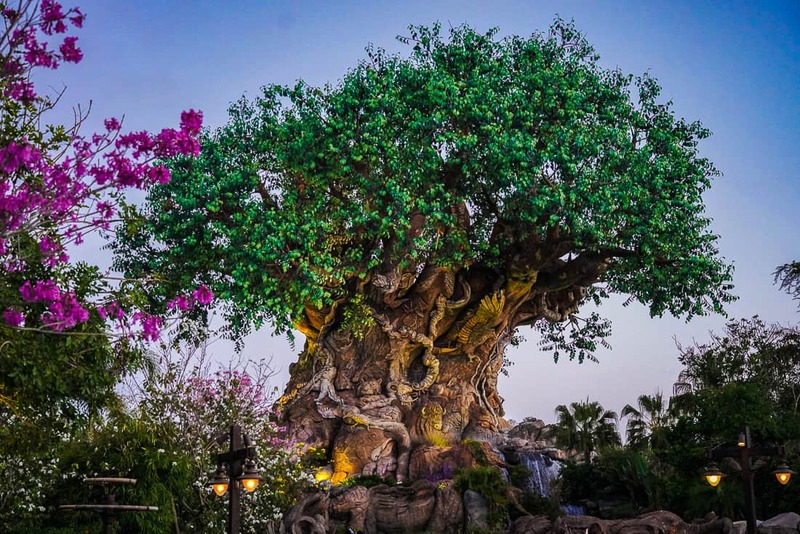 There are often night time light shows displayed on the Tree of Life in Discovery Island. 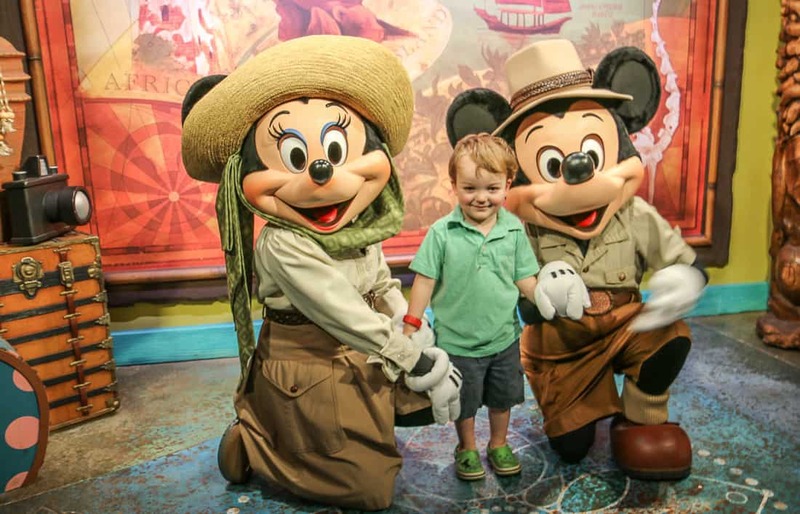 Little ones will want the Fast Pass to meet Safari Mickey and Minnie at Animal Kingdom. Families can meet Mickey and Minnie wearing safari clothes on Discovery Island, not far from the Tree of Life. The Festival of the Lion King is a compressed tribute to the Broadway show. Lots of acrobatic acts and plenty of vocal talent entertain the crowds. The show is reimagined to accommodate a square arena with audience interaction. It’s worth seeing at least once for its exceptional production, and it works well for all ages. Its interior stage is a cool, air-conditioned break in the afternoon heat, too. Inside both the African and Asian areas of Animal Kingdom are self guided treks to see tigers in realistic ruins of an Indian temple and gorillas. These are enjoyable to pass time in between Fast Pass and meal reservations. Dinoland, the more traditional theme park section of Animal Kingdom has rides and carnival games. There’s a Dumbo-like flying triceratops, but the best is Primeval Whirl is a fast and fun fusion of a small roller coaster and a Tilt-a-Whirl. It’s one of our family’s favorites. Not named after the Sirius XM radio station for Ozzy Osbourne, the Bone Yard is a great playground for children with imaginative climbing stations. Unlike most of the premium animal encounter experiences available, this one-hour intensive to learn about caring for elephants is suitable for those aged four and older, and priced at $30 per person. This is a great alternative for families whose children are under ten. Longer, more physical premium experiences are available with families of tweens and teens like the Wild Trek safaris. This roller coaster is definitely one of the more intense coasters in all of the Disney World parks. It goes backwards at one point, and it is definitely thrilling for tweens and teens. Tusker House offers a character meal at Animal Kingdom as a buffet. The buffet’s quality and diverse offerings make it a favorite for many families, including ours. Mickey, Minnie, Goofy, Daisy, and Donald make appearances. It serves breakfast, lunch, and dinner. An 8:00AM reservation is a great way to enter the park a little earlier. 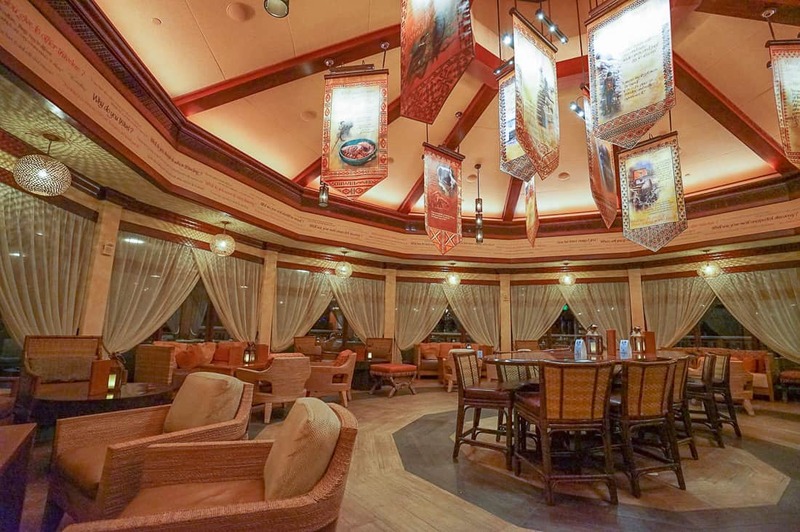 Tiffins is a new signature restaurant that has a beautiful bar and lounge area attached called the Nomad Lounge. Serving a fusion menu similar to Jiko, Tiffins is the park destination to have a non-theme park meal. Our server had come from Disney’s most acclaimed restaurant, Victoria & Albert’s, and the menu is suited for a more sophisticated, leisurely meal which is sometimes in conflict with a family’s pace visiting the parks. We loved the food, but we rushed through our meal. Had we come for lunch, we could have enjoyed the special three-course prixe-fixe menu designed to be shorter culinary break in between a busy park schedule. Nomad Lounge offers a menu of small plates throughout the day, and contributor Robert found a perfect haven for his family in Nomad Lounge during a rain storm. He was impressed with the dark roast coffee served in French presses, and children can get hot chocolate. The newest restaurant in Animal Kingdom is the counter service restaurant inside the Pandora. Lines are predictably long, but guests can order ahead on their phones in the My Disney Experience App. Guests choose between beef, chicken, or vegetarian bowls made with a variety of grains, greens, and legumes to choose from. This is the place to get the steamed cheeseburger boa bun if your kids think that sounds intriguing. The menu is wonderfully healthy by comparison to the old school restaurants, and its great to see Disney evolve and lead in healthy park food. Animal Kingdom and Animal Kingdom Lodge provide a welcome contrast to the rest of the Walt Disney World Resort. As a family, we have always been so drawn to both as the more mellow destinations to slow down and enjoy each other while connecting to nature and other cultures. 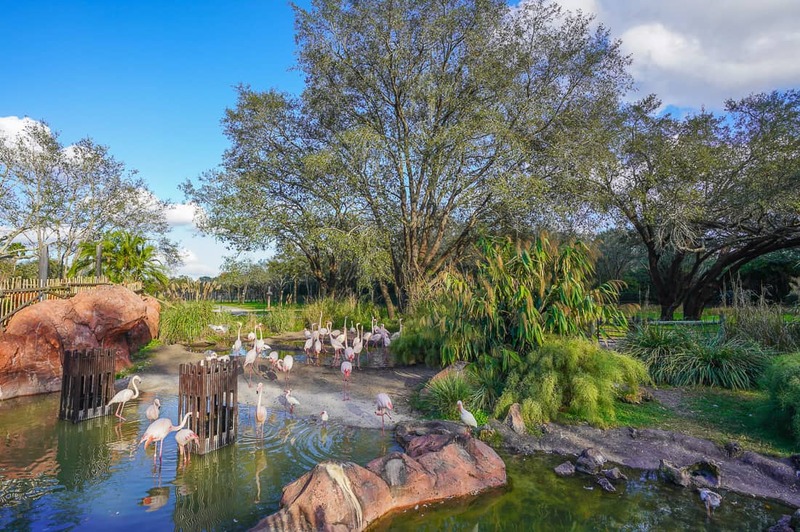 Animal Kingdom offers an escape from the traditional theme park experience. 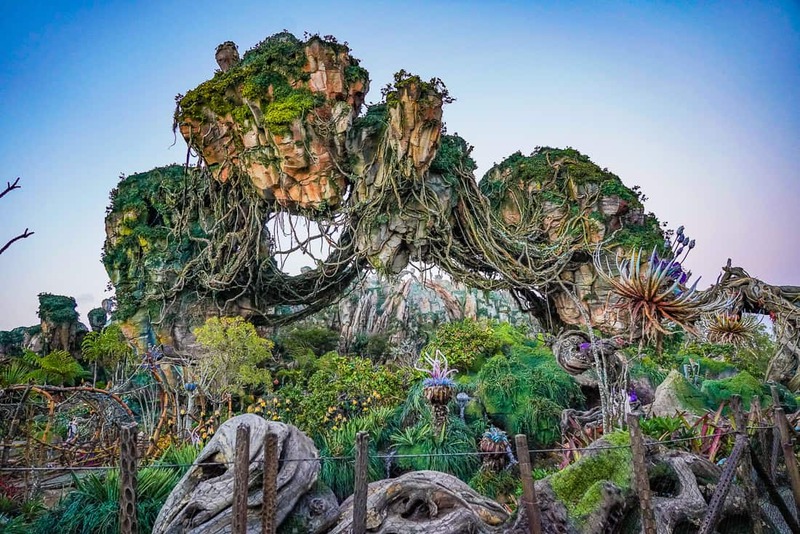 The ambitious expansions at Animal Kingdom to make it more of a nighttime park destination has brought many great things for families to enjoy. For those who wait for the crowds to die down at Pandora, the good news is that the new Toy Story Land opening June 30, 2018 will finally pull some crowds away. Although My Path Unwinding Travel is the sponsor of this post, editorial content was exclusively written by Luxe Recess. 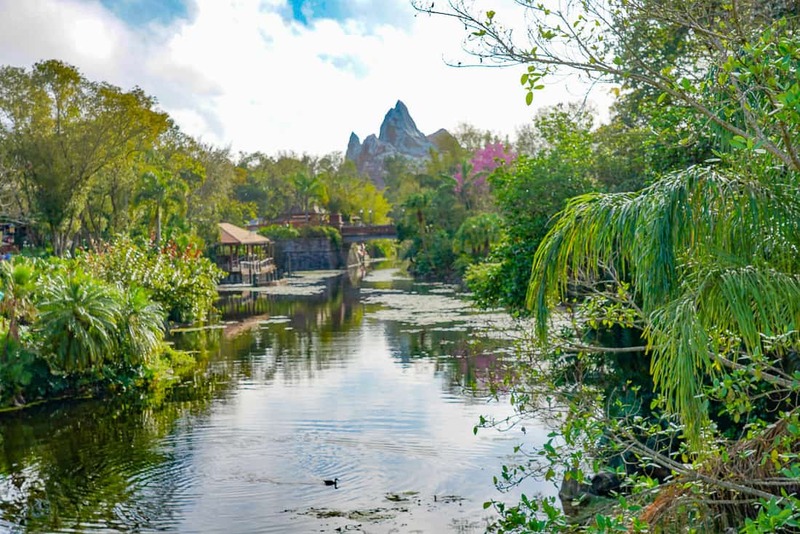 This is a great post about all things Animal Kingdom! Great pictures too!! 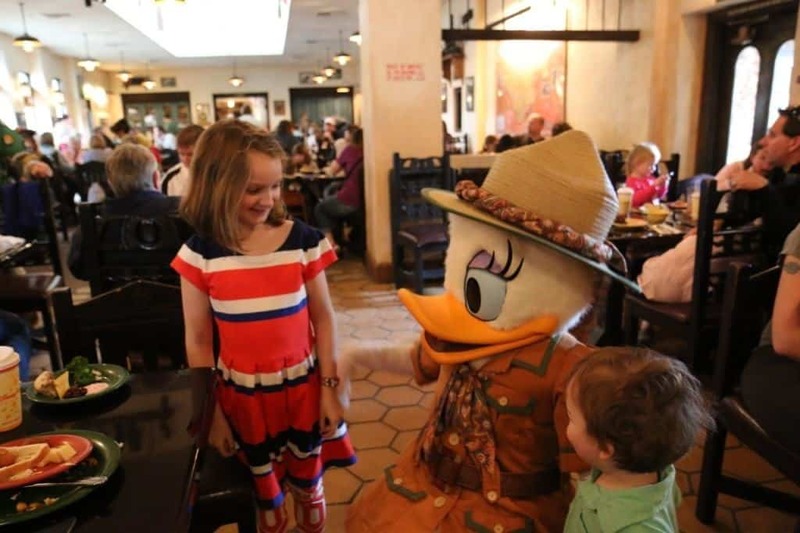 Fyi, Daffy is not meetble at Tusker House. However, Donald is! Thank you for setting me straight! Since Donald is my favorite, that typo is particularly funny!